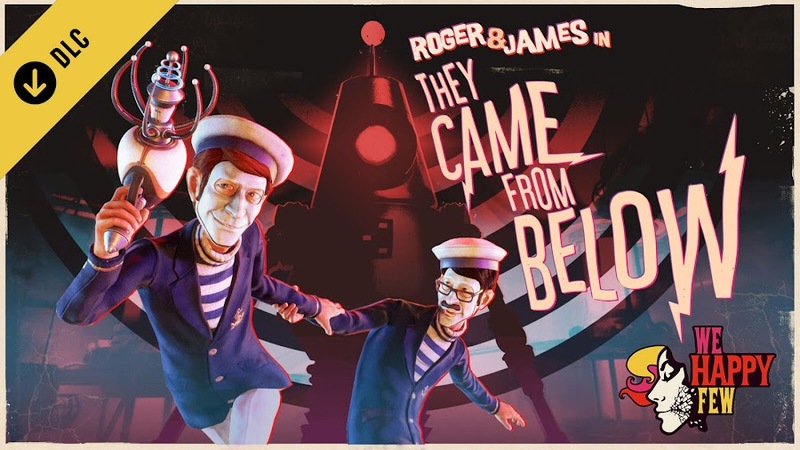 First DLC of We Happy Few complete with rampaging robots in "Roger & James in They Came From Below" is available now. 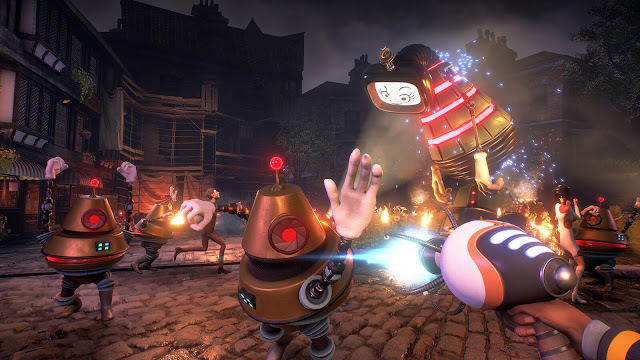 Despite best efforts of developer Compulsion Games and backings from Microsoft Studios, action-adventure game We Happy Few turned out to be a disappointment for many when Gearbox Publishing launched it on PC, PlayStation 4 and Xbox One. However, their development team still worked on expanding story of the main game with its first ever downloadable content pack in "They Came From Below", which is currently out now on all available platforms. Brilliant scientist and inventor Dr. Faraday Wellington Wells was previously working on a portal to evade the city and she was vanished before her assistants James Maxwell and Roger Bacon unwittingly caused an invasion of alien robots. Contrary to basic gameplay aspects, some activities like crafting, eating and sleeping are completely absent. Instead of a randomly generated open-world, you are now thrown into new locations that are always the same. Players will be exploring this new plot as Roger, armed with a Ray Gun for both melee and range attacks. 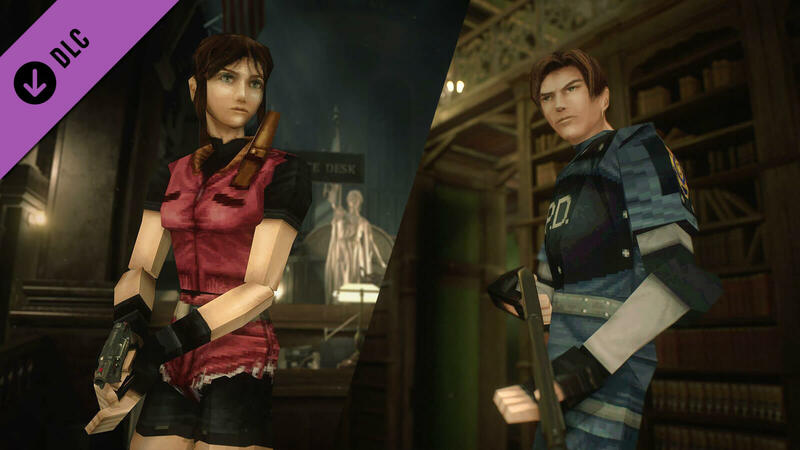 He is aided by James who is a former soldier and his goofy partner, often remaining in contact through a walkie-talkie. There is theme of James regressing his feelings for Roger even though all mostly he does is question every actions of his associate, which possibly is a result of a dystopian era of a society they live in, where no one would accept this unlikely couple. RELATED: We Happy Few Secret Ending! 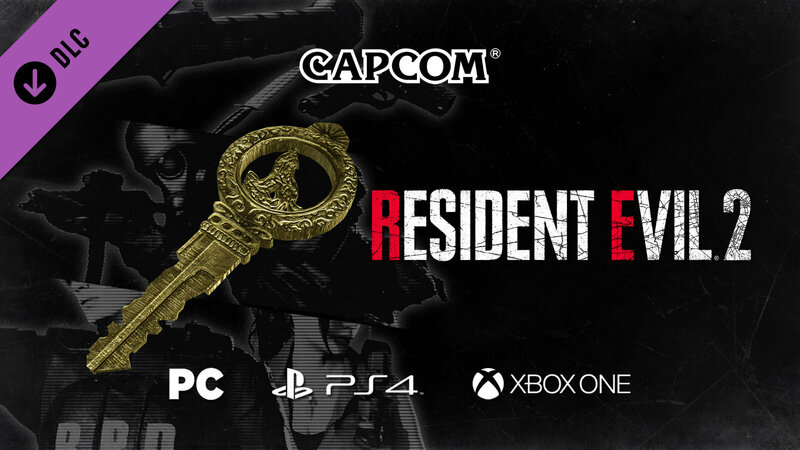 Other than buying separately, They Came From Below DLC will be accessible by owning Digital Deluxe version of the game or getting Season Pass with base game. More content packs similar to this one will likely to come from Compulsion Games in future as well. Ditching regular role-playing and survival tone, We Happy Few took a bit of classic sci-fi route for their newest content to offer a different take at core story. If you manage to save Wellington Wells from these mechanized menace, more stories with come later. 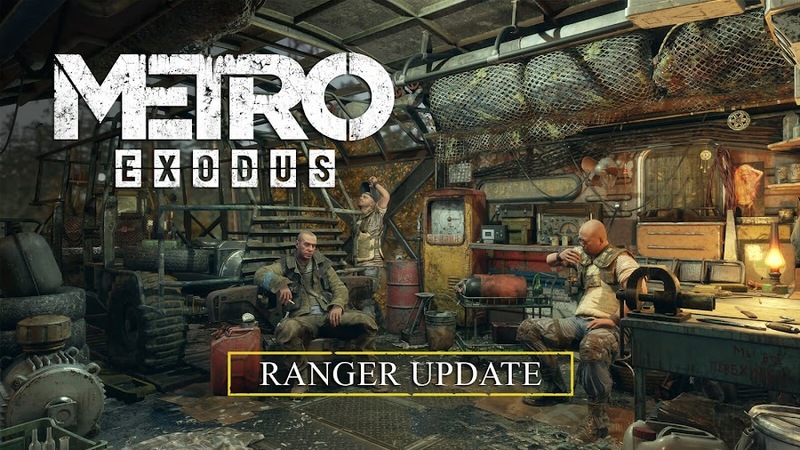 4A Games drops free Ranger Update for Metro Exodus that lets players experience New Game + mode with additional features. Drawing conclusion to a nearly decade-long Metro first-person shooter game trilogy, Metro Exodus by developer 4A Games and publisher Deep Silver has garnered nothing but praise upon launch back in February for keeping up their standard. Developers have deployed their first major patch for the game titled the "Ranger Update" that would take up to 6GB worth drive space. Depending on whether you are on PC or PlayStation 4 and Xbox One consoles, patch notes will vary a little. Owners of the game can get their hands on this free update on their respectable platforms today, which introduces a new game plus mode bundled with a bunch of gameplay features, improvements and essential bug fixes for everyone. 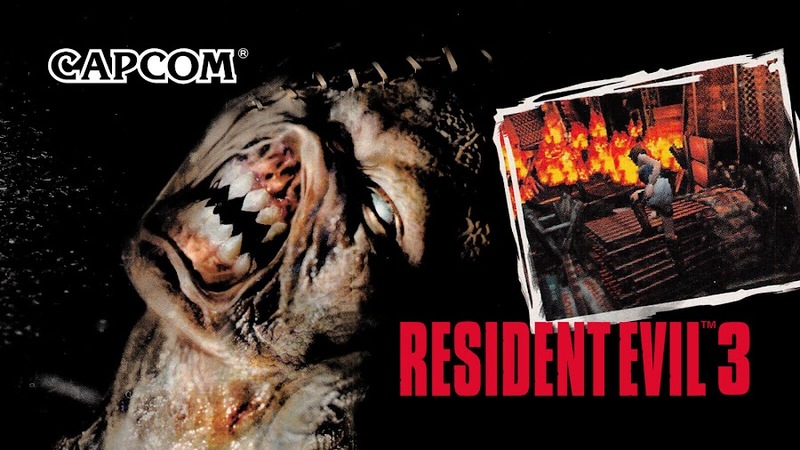 New Game+ would only unlock when a player completes the whole story once and then begin a fresh new campaign with every attachment and weapons they gained in the earlier playthrough from the get go without having to go look for them again. You can completely change how your next run would go in game plus by twitching enemy behaviors, increase their frequency or making them more tough and dangerous at the same time to have a more challenging experience. Instead of having all available weapons at start, anyone can choose to reduce their inventory down to a single weapon for a more thrilling journey. You can also find developer commentary in as Green Tape Players collectible items to offer you a peak behind the scenes. An all-new way of going into a dark world of Metro; "Ranger Update" lets you have a new gripping take every time and even possibly to an alternate ending. Players on Xbox One are getting their desired mouse and keyboard support as part of the update. Metro Exodus continues a journey into a fictional post-apocalyptic wasteland of former Russia as a follow up to previously released games Metro 2033 and Metro: Last Light, based on the best-selling novels of author Dmitry Glukhovsky. 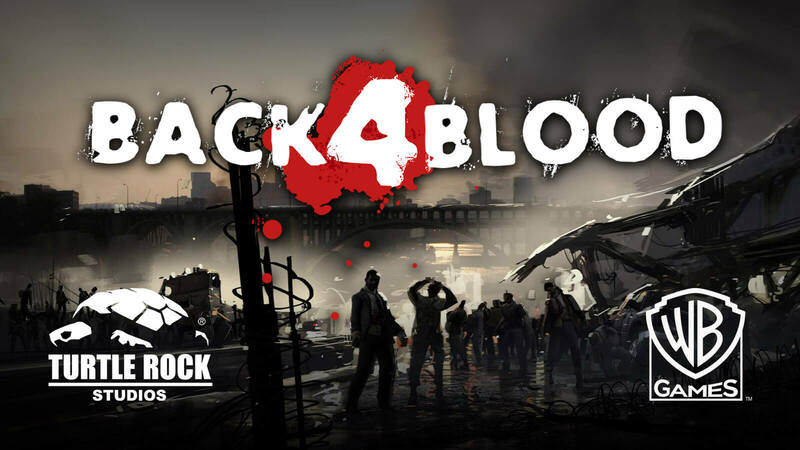 Left 4 Dead creators Turtle Rock Studios announced a spiritual sequel and upcoming co-op zombie shooter Back 4 Blood. Zombie shooter games have always a special place to video game lovers all over the world but very few have succeeded in matching the legacy created by Left 4 Dead of 2008 by developer Turtle Rock Studios and publisher Valve Corporation. 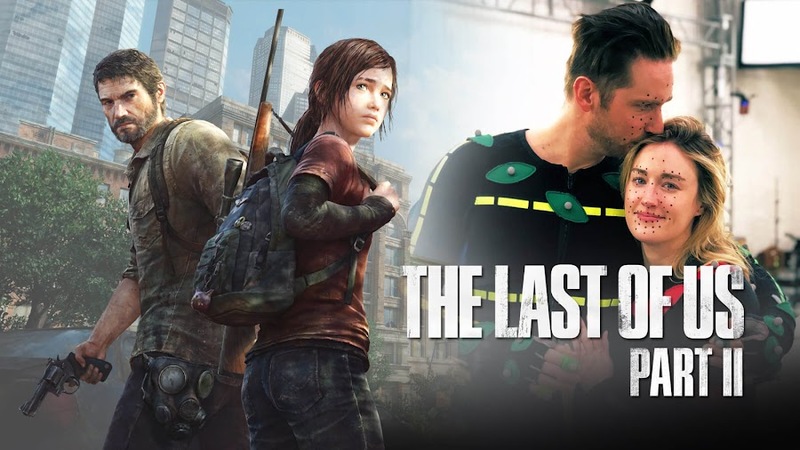 A sequel, Left 4 Dead 2 came out in 2009 and a decade has passed in anticipation for release of a third installment with no hope for it or whatsoever, until now. Apparently, the original studio that worked on L4D is back with a spiritual sequel titled Back 4 Blood. Turtle Rock is currently developing a cooperative shooter game where players will fend off hordes of zombies for the sake of their own survival, which sounds a lot like what L4D offered but they insist that it really is an original and unique IP. Despite taking inspiration from the popular co-op zombie shooter franchise, the development team insists that the game is not Left 4 Dead 3 at all. They are about to introduce new features to honor the legacy of the preceding titles but being very coy about them. 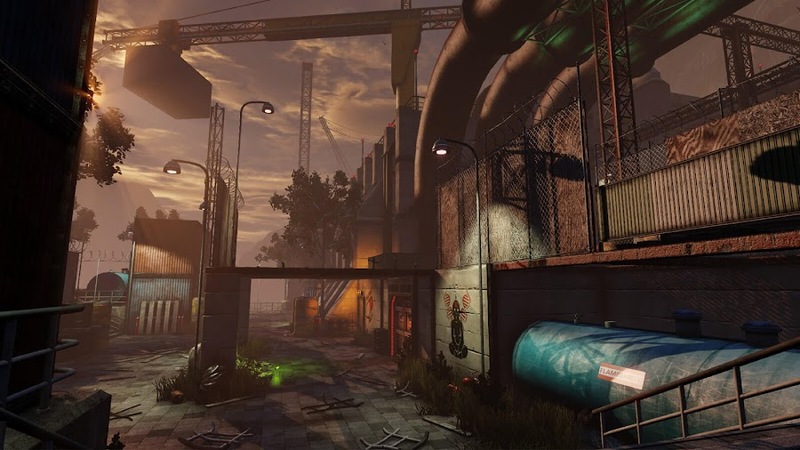 Back in June 2018, a job listing for hiring animator, character concept artist and level designers with expertise of working on competitive FPS posted by the studio for a globally known franchise had many of us believed that Left 4 Dead 3 was indeed in development. Of course, B4B will have a campaign mode while option for player-versus-player combat will also be there. However, they are not planning on to push a Battle Royale mode for it as it is heading to launch on PC, PlayStation 4 and Xbox One. Developers are working in collaboration with Warner Bros. Interactive Entertainment for this project that is committed to a player-first mentality. With everything they have learned over years, Turtle Rock Studios only focuses to move forward with new ideas. 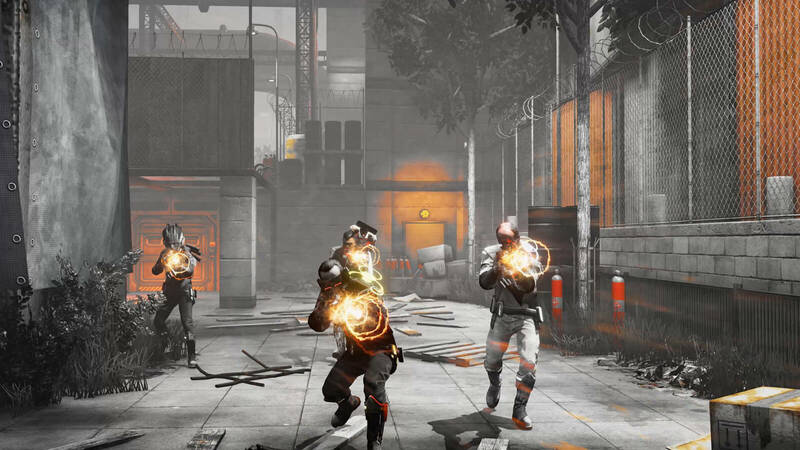 When finished, Back 4 Blood would be a great opportunity for old-school fans of Left 4 Dead to jump back into a genre they craved for so long and new generation of players would be able to experience the same thrill of taking on undead hordes with squad mates. 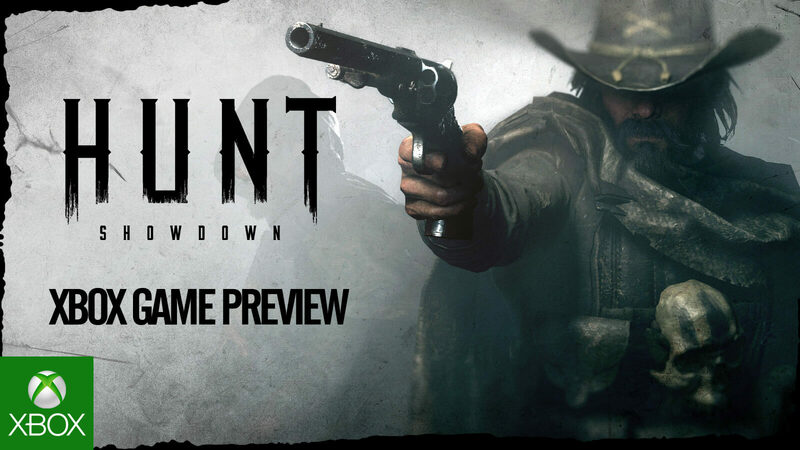 FPS bounty hunting game Hunt: Showdown from Crytek is coming to Xbox Game Preview on spring 2019. 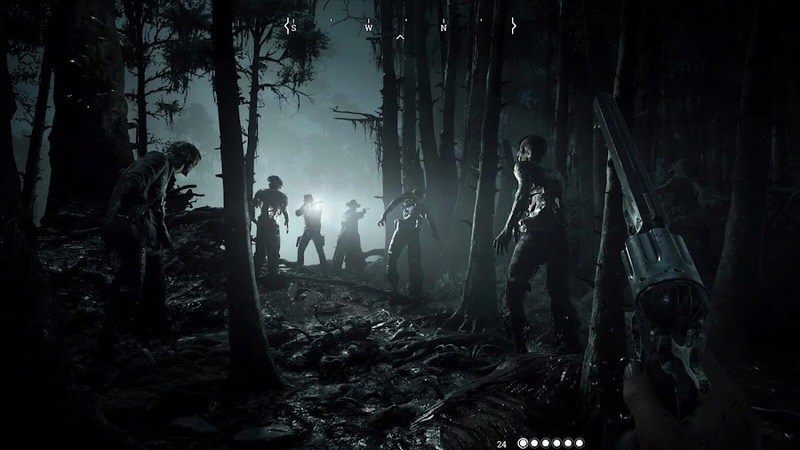 After going through much trouble, survival horror first-person shooter Hunt: Showdown from developer/publisher Crytek has managed to see launch in Early Access of Steam on February 22, 2018 and received mostly positive remarks. Making good on their previous announcement made back it Gamescom 2018, the studio is bringing the FPS game to Xbox Game Preview program in association with Microsoft Studios, for Xbox One players on spring 2019. Here goes your Xbox Game Preview teaser of pre-alpha Hunt: Showdown, heralding of its arrival later this year. Players can jump into a dark world Louisiana swamps full of bounty hunters seeking gold for slaying monsters, solo or in posse for a competitive online multiplayer gameplay in a tensed surrounding to always make you feel the thrill of survival. Though Hunt is mostly designed for PvP experience, developers inserted deep PvE elements into the mix as well. 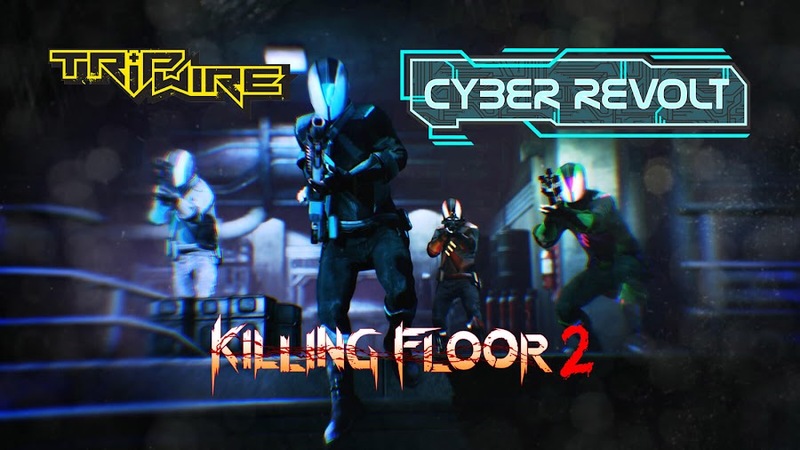 Its genre is a mix of action and strategy for sake of survival, which constantly keeps you on edge. Crytek has been keeping up with a community-driven development cycle so far and Xbox early access will allow them to go further on same track. Based on received community feedback, they have added new equipment, features and settings to it. When you are in a match, every moment is a high-risk situation that only leads to high-rewards. However, whenever you die in-game, your Hunter character is gone for good and so are all the gears they were packing. Audio design was one of the top priorities for Hunt developers to create a tense atmosphere where players not only feel their enemies and bosses lurking around but also gives away your position to them if you are too noisy at work. Whether you set your eyes on high prizes or stay in your safety fence and keep grinding, thrive alone or in group, Hunt: Showdown offers you bunch of different ways to enjoy the experience depending on how you would like to play it.